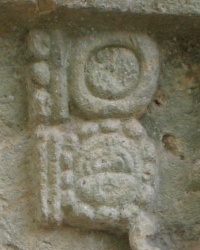 The Maya used the so-called Long Count in their inscriptions on their monuments (see Long Count in Wikipedia). The Long Count has five positional values. The Maya used a vigesimal numbering system, which means that each positional number is a multiple of 20 of the previous position. The origin of the calendar (Long Date 0.0.0.0.0) is equivalent to 11 August, 3114 BCE in the proleptic Gregorian calendar. An important exception was made for the second-order place value, which instead represented 18 × 20, or 360 days, more closely approximating the solar year than would 20 × 20 = 400 days. This calendar has no direct association with the solar year, so there is no reason for any leap years. The positions had individual names. The first position was called K'in (Day). The second position was called Winal = 20 K'in (about 3 weeks). The third position (which was approximately 1 year) was called Tun = 18 Winal. The fourth position was called K'atun = 20 Tun (approximately 20 years). The fifth position was called B'ak'tun = 20 K'atun (approximately 400 years). This type of calendar can be used to describe any date (just as our calendar can), but without the problems of leap years, since it is not tied to the solar year. The current craze about the "End of the World" is based on the coincidence that the Mayan calendar moves to a new B'ak'tun of 13.0.0.0.0 on 21 December, 2012. This has as much validity as the "End of the World" as the transition to the year 2000 (or any other "End of the World" prediction). 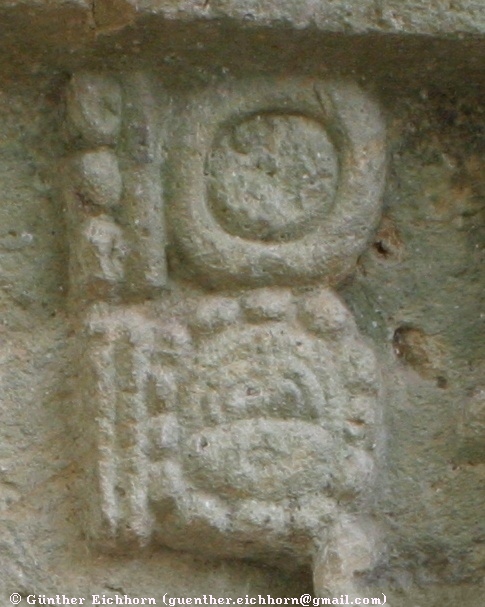 The Maya also used a solar calendar, called Haab' (see Haab' in Wikipedia). It was made up of eighteen months of twenty days each plus a period of five days ("nameless days") at the end of the year known as Wayeb'. Following is a table with the 18 month names (the glyphs are from Wikipedia). Each day in the Haab' calendar was identified by a day number in the month followed by the name of the month. The Mayans were aware of the inaccuracies of a year with 365 days, but did not apply any corrections because of that. Their Long Count calendar is not associated with the solar year and is therefore always 100% correct. This may be the reason for the myth that the Maya used a very accurate calendar, more accurate than ours. Their calendar was 100% accurate, but was not correlated with the solar year. Neither the Tzolk'in nor the Haab' system numbered the years. The combination of a Tzolk'in date and a Haab' date was enough to identify a date to most people's satisfaction, as such a combination did not occur again for another 52 years, above general life expectancy. Because the two calendars were based on 260 days and 365 days respectively, the whole cycle would repeat itself every 52 Haab' years exactly. This period was known as a Calendar Round. The end of the Calendar Round was a period of unrest and bad luck among the Maya, as they waited in expectation to see if the Gods would grant them another cycle of 52 years (from Wikipedia: Mayan Calendar).